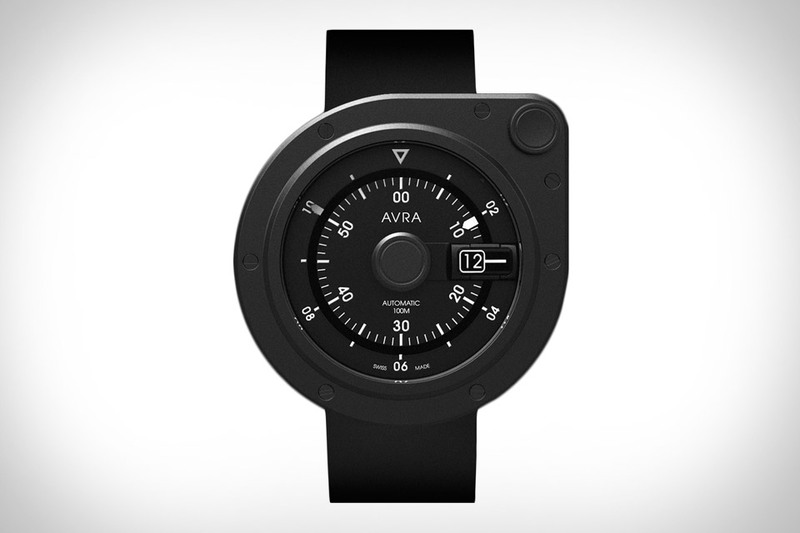 Built in Switzerland over the course of six months, each Avra 1-Hundred Watch is a made-to-order marvel. The watch has several unique, patented features, including a side viewing window with a secondary time display, and an internal locking crown that's placed in the upper right hand corner of the 46mm case. It has a mechanical automatic movement, Super-LumiNova hands and markers, and comes with a two straps, one in black leather and one in black rubber. Available in titanium, satin stainless, or hardened black stainless steel. It doesn't have a fancy metal case, built-in cell connection, or other unnecessary add-ons. What the Pebble 2 Smartwatch does have is a solid mix of features and value. Like most wearables, it does activity and sleep tracking, leveraging the built-in heart rate monitor for added accuracy. It also displays notifications, keeps a timeline for an at-a-glance look at your day, and provides access to a rich ecosystem of apps. But unlike most smartwatches, it can run for up to seven days on a single charge, is water resistant to 30 meters, and has an ePaper display that's always on, so you're never wearing a blank black box on your wrist. Dedicated to World Badminton Champion Lin Dan, the Montblanc TimeWalker Pythagore Ultra-Light Concept Watch is an intriguing mix of modern engineering and old-world technique. 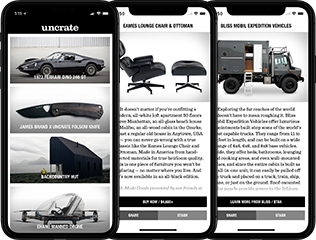 The 40mm case is made using black DLC titanium for the lugs and ITR2, a composite material made from carbon nanotubes, mixed with Kevlar carbon for the middle case, back, bezel, and crown. The dial is skeletonized and the case back made from mineral glass, letting you get a good view of the Calibre MB M62.48 movement that's based on Pythagoras's Golden Ratio and recalls the Minerva Pythagore movement from 1943. The end result is one of the world's lightest mechanical timepieces — it weighs just 14.88 grams — and when paired with the black nylon strap, one of its more striking, too. With a squarish design and offset lugs, the Xeric Soloscope Watch easily stands out from most mechanical timepieces. It's powered by an automatic movement, using twin balance wheels move both the outer and inner rings that combine with a single hand to show both the hours and minutes. The crown is hidden underneath the watch to maintain a clean design, the Horween leather straps attach via a quick-release mechanism, and each watch is hand-assembled, and limited to just 999 units of each finish. Developed specifically with fishermen and hunters in mind, the Suunto Traverse Alpha Watch will make a worthy companion on your next outing. The battery can run for up to 100 hours while using the integrated GPS with breadcrumbs, which, combined with the electronic compass and altimeter, make it easy to keep track of your whereabouts. There's a moon phase calendar to let you know when to put in your line, a barometric tracker to warn you of weather changes, and automatic shot detection to let you know where and when each one took place. Its red backlight won't bother your night vision gear, and it's built to military standards, so it can stand up to whatever you throw its way. Jam-packed with enough functions to make most smartwatches blush, the Casio G-Shock MR-G Hammer Tone Watch stands out from its candy-colored cousins not with features, but with finishes that recall its cultural heritage. Both the bezel and the center band links are finished using the Japanese Tsu-i-ki technique that creates unique relief patterns through hammering, and are joined by highlights in Oboro-gin and Akagene, materials native to Japanese craftwork. As for specifics, the watch is powered by a GPS controlled Multi-Band 6 housed in a 54.7mm titanium case that's both hardened and DLC-coated. In addition to traditional time functions, it offers a latitude indicator, world time, alarm, an auto calendar, a stopwatch, a countdown timer, a day/date display, and water resistance down to 200 meters. Limited to just 300 piece worldwide. Based on a design that pays tribute to place the company was founded in 1854, the Timex x Red Wing Waterbury Watch makes several notable improvements over the original. Most obvious among them is a leather strap made from the same stuff Red Wing uses to craft its iconic boots, finished with a stainless steel clasp that matches the case. The dial is a simple, vintage affair, with a date complication, Arabic numerals, and Indiglo night light, and the watch is available in three styles, including a chronograph with a four-hour capacity.